Long summer days on the beach, barbecues at sunset, or late night dinner parties – sharing all of this with a big group of your closest friends and family is what makes a holiday in Cornwall one you won’t forget. 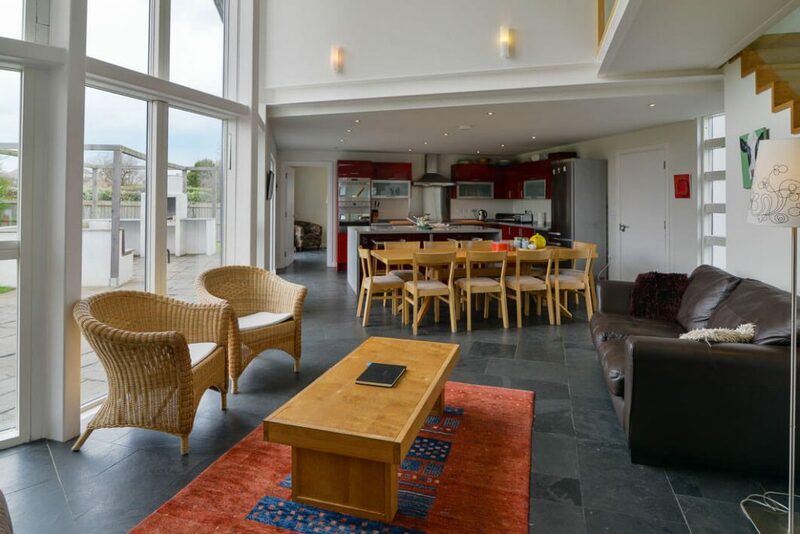 Raintree House Holidays has a fantastic selection of large holiday homes for your next get-together, each with all of your favourite home comforts at arm’s length and the beach just a stone’s throw away. Here are five of our large beach houses with that extra wow factor. Family and group holidays come easy at Cheyney thanks to its three separate living rooms, five bedrooms, five bathrooms and the stunning, double-height living, kitchen and dining area with floor to ceiling glass – a place for cooking with friends and coming together round the table. Architect-designed and environmentally low impact, Cheyney is a cool and contemporary large holiday home that ticks all the boxes. 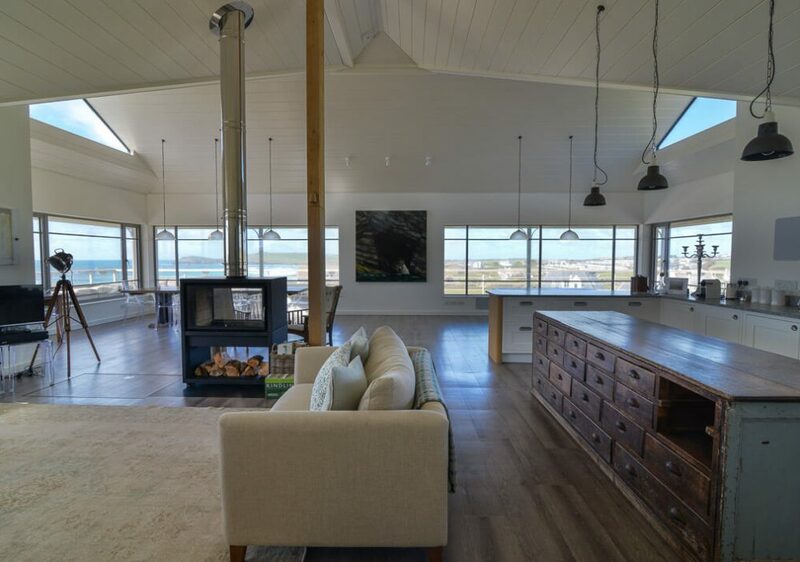 Underfloor heating throughout and a wood burning stove ensure you’ll be cosy in the winter months after blowing away the cobwebs on the beach at Constantine, less then a 15 minute walk away. Take a look around Cheyney here. 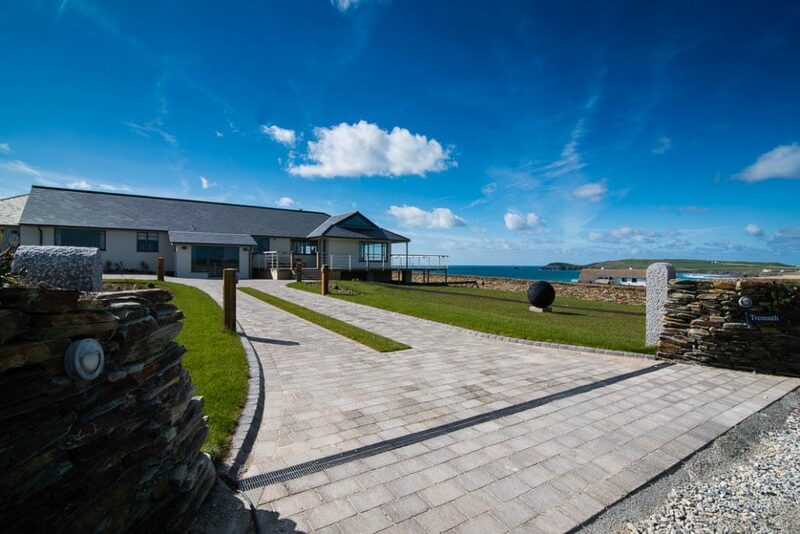 Located within easy walking distance of north Cornwall’s best beaches, a short drive away from Padstow and just 200 yards from Trevose Golf Club, families and groups can set their own pace during a stay at Blue Seas. 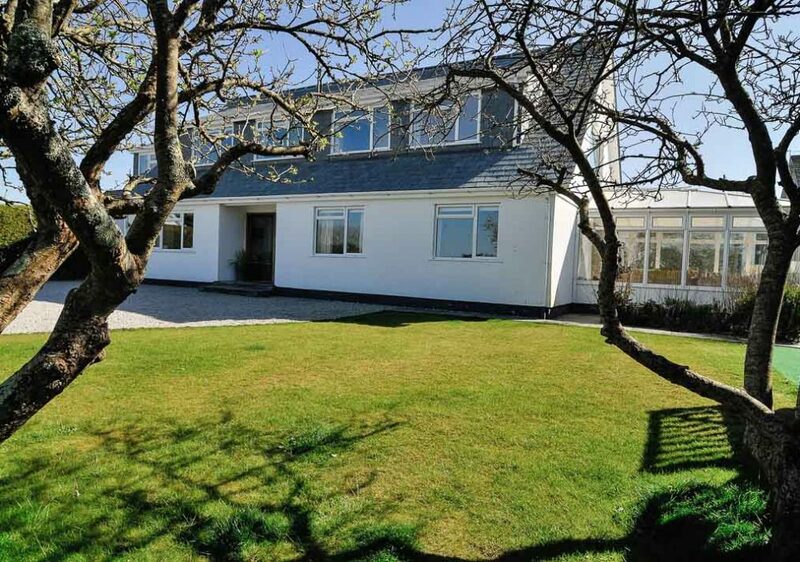 An architect-designed contemporary new build with distant sea views, there’s lots to love. 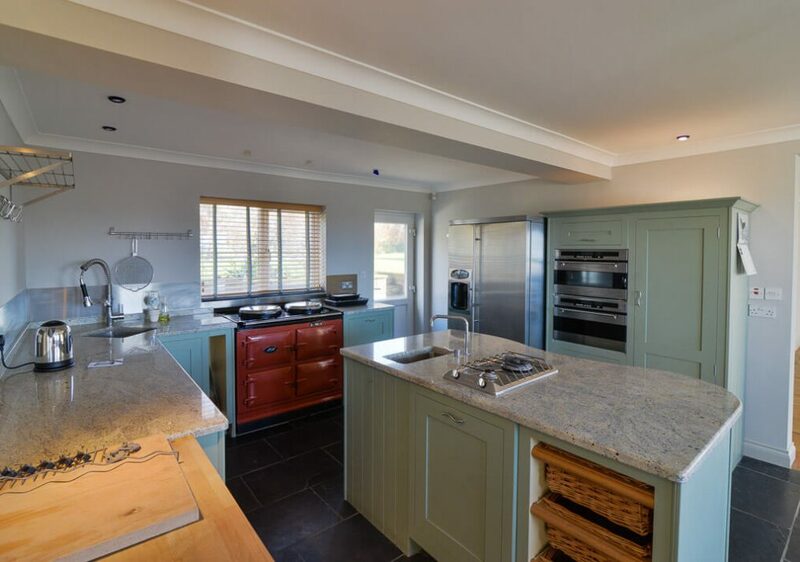 The huge, light-flooded, open-plan first floor, the handmade, state of the art kitchen with bespoke range cooker, the sunny garden, the snug – this is a large self catering property finished to the highest standard. The little details that make all the difference have also been taken care of. Indoors, families of all ages will be kept entertained with 4kHD TVs, Sky+, an arcade machine and Bluetooth speaker. Outdoors you’ll find a table tennis table, Weber barbecue and handy outdoor shower. Well behaved dogs are welcome. Take a look around Blue Seas here. 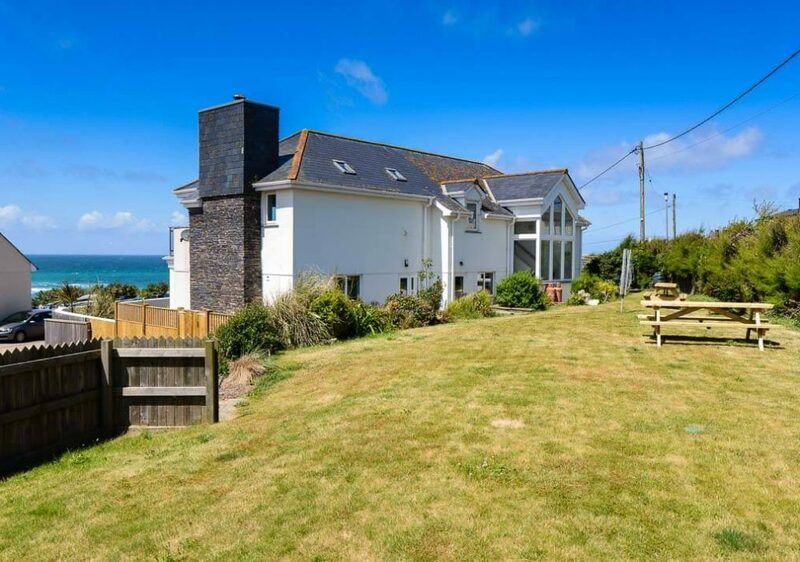 Occupying one of the most heart-stirring locations in Cornwall with panoramic views out over the south side of Treyarnon Bay, Trenouth is a large, luxury self catering holiday home impossible not to fall head over heels with. 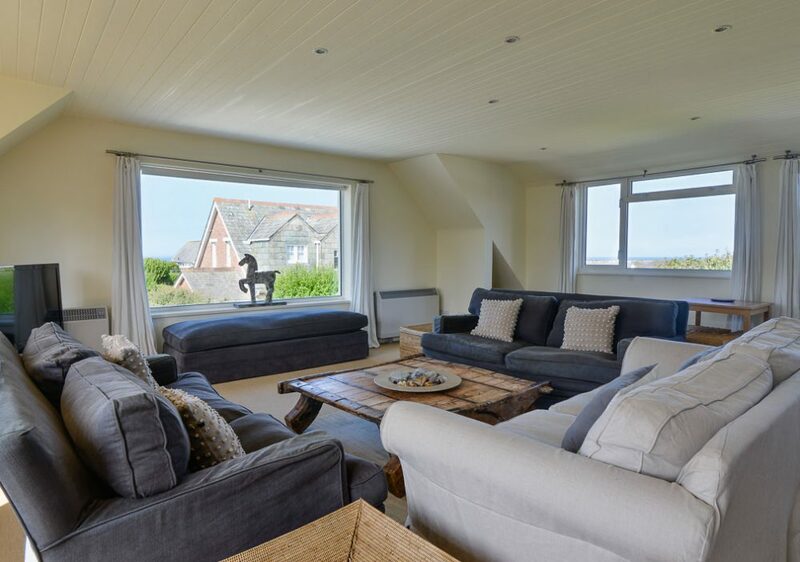 A beach house fit for any special occasion, think catching up with friends around the roaring wood burner, big family dinners, watching the sunset wrapped in blankets from the wrap-around, heated terrace, or whiling away an afternoon with a good book on a sunlounger. The sweeping sands of Treyarnon Bay are just a short stroll down the coast path. Be sure to find the natural swimming pool carved into the rocks at one end of the bay below the headland. Trenouth is dog-friendly; after all, any special get-together wouldn’t be the same without your four-legged members of the family. Take a look around Trenouth here. White walls offers a sophisticated blend of contemporary style with family comfort. It’s the kind of beach house where your friends and family will feel instantly at home after stepping through the front door. Thoughtfully furnished by an interior designer, the large self catering property is warm and welcoming throughout with all the luxury extras you’d expect with a family friendly holiday home – a large flat screen TV with Sky, iPod/ iPhone docks, extensive baby equipment and even a fun tree house and slide in the garden. 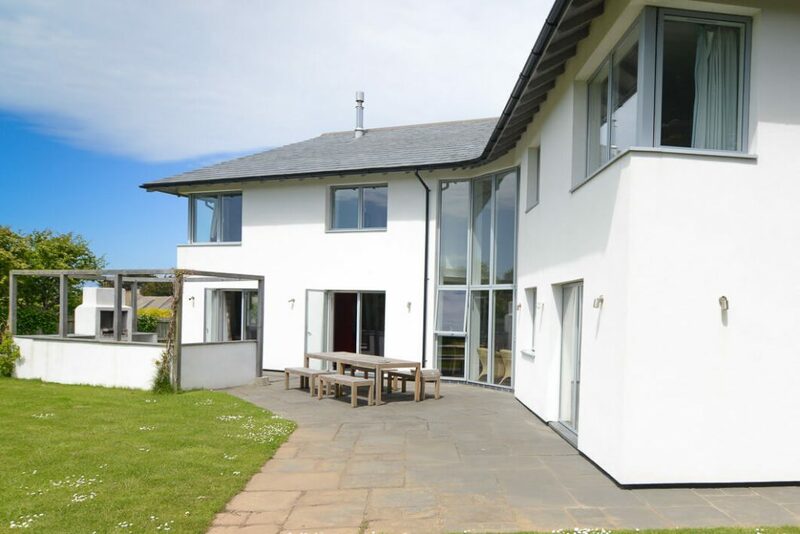 Sleeping up to 13 in seven bedrooms, White Walls is set in a prime location at Constantine Bay, with panoramic sea views to boot. Take a look around White Walls here. 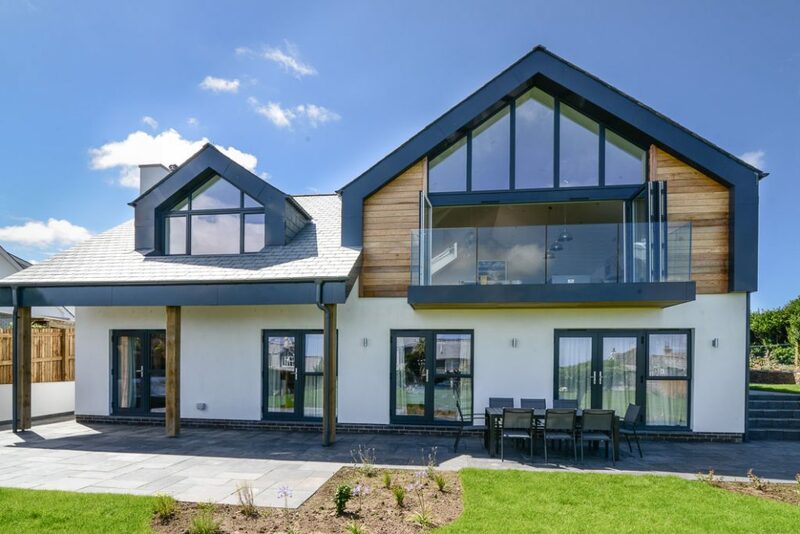 Luxury beach houses don’t come much closer to the beach than at Aquataine Lodge, commanding spectacular views from its position above the beach at Treyarnon Bay. 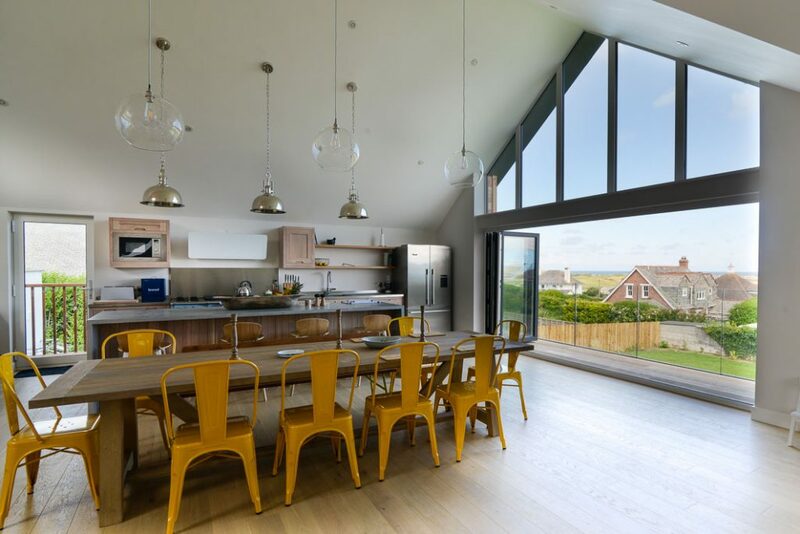 Designed to blur the boundary between its beach-chic interiors and the great outdoors, the vast expanses of glass and floor to ceiling windows help to coax you outside to take in the fresh Cornish sea air. The addition of a sauna and whirlpool bath add to the fun of family holidays at Aquataine Lodge. Sleeping 12 in seven bedrooms, there is also the option to let the Annexe next door which can accommodate a further 2-4 guests if you’re holidaying as a larger group. Aquataine Lodge is a truly special place from which to indulge in Cornish beach life. Take a look around Aquataine Lodge here. Not quite found what you’re looking for? Search our range of self-catering beach houses here.